This edition has the mastering signature of Al Brown (5) etched in the runout area. 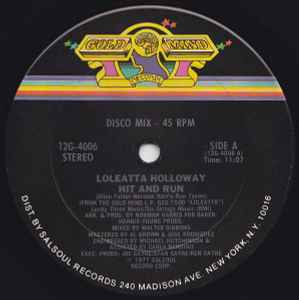 There also exists Loleatta Holloway - Hit And Run which seems to have identical center labels but has Jack Adams mastering etching. From the Gold Mind L.P. GZS-7500 "Loleatta"
℗ 1977 Salsoul Record Corp.